The National Committee for Quality Assurance (NCQA) has recognized the hospital’s Gawlicki Family COPD Disease Management (COPD DM) program as the nation’s first and only Patient Centered Specialty Practice (PCSP). Respiratory therapist Stephanie Alderman has been selected by the Hartford Business Journal as a Health Care Hero for her role in supporting patients with COPD. The Gawlicki Family Foundation awarded a $250,000 grant to HSC in 2017 to support the hospital’s efforts to achieve PCSP recognition. Funds support better tracking and coordination of referrals for care, strengthening access and communication to patients, and better planning and managing patient-centered care. NCQA Patient-Centered Specialty Practice (PCSP) Recognition is an innovative program for improving specialty care. With a set of standards that describe clear and specific criteria, the program gives practices information about organizing care around patients, working in teams, and coordinating and tracking care over time with primary care and specialty care colleagues. Each of the three levels of NCQA PCSP recognition reflect the degree to which a practice meets the requirements, elements and factors that comprise the standards. 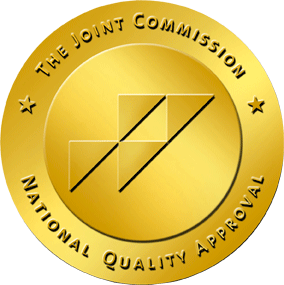 PCSP recognition is modeled on and complements NCQA’s Patient-Centered Medical Home (PCMH) Recognition program, the most widely adopted medical home model in the country. A medical home is a way of organizing primary care that uses teamwork and technology to improve quality, improve patients’ experience of care and reduce costs. PCSP recognition highlights the “neighbors” in medical specialties that surround and inform the medical home and colleagues in primary care. The 2018 Hartford Business Journal Healthcare Heroes Awards recognize outstanding leaders in the health care industry. Health Care Heroes will be recognized at a luncheon on Dec. 6, 2018 at the Hartford Marriott. NCQA is a private, non-profit organization dedicated to improving health care quality. 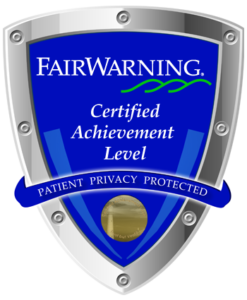 NCQA accredits and certifies a wide range of health care organizations. It also recognizes clinicians and practices in key areas of performance. NCQA’s Healthcare Effectiveness Data and Information Set (HEDIS®) is the most widely used performance measurement tool in health care. NCQA’s website (ncqa.org) contains information to help consumers, employers and others make more informed health care choices. Hospital for Special Care (HSC) is the fourth largest, free-standing long-term acute care hospital in the U.S. and the only one in the nation serving adults and children. HSC is recognized for advanced care and rehabilitation in pulmonary care, acquired brain injury, medically-complex pediatrics, neuromuscular disorders including ALS research, spinal cord injury, comprehensive heart failure and comprehensive inpatient and outpatient treatment for children and adolescents with autism spectrum disorder. Located in New Britain and Hartford, CT, HSC operates inpatient and outpatient facilities serving Southern New England and the Tri-State area on a not-for-profit basis. For the latest news and information, please visit www.hfsc.org, and follow us on Facebook @HospitalforSpecialCare.